In honor of "National Love Your Pet Day (2/20)". 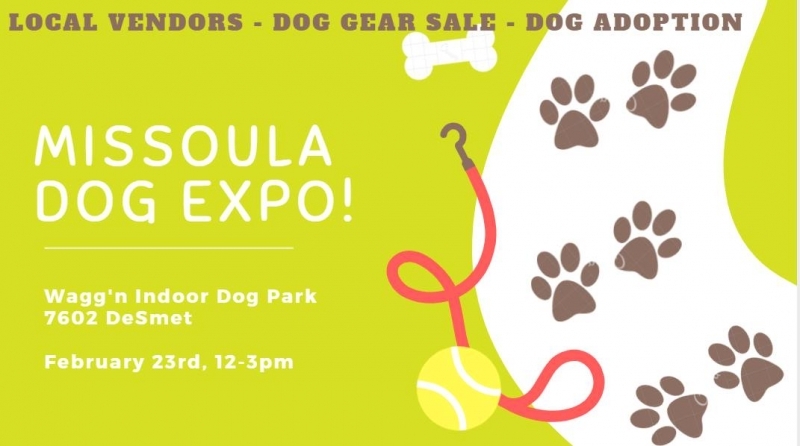 We will be hosting an expo with dog supply and service vendors, a used dog gear swap and sale, and a dog adoption event! Admission is either a dog treat/dog food or $5 dollar donation. Dogs are invited too!! If you’re new to Wagg'n, please pre-register your fur baby on our website (www.waggn.net). Do you have an old crate your dog has outgrown? Sell it and find a new one! Do you have gently used coats, leashes, harnesses, toys, costumes, beds, collars, etc. that need a new home instead of your closet? We'll take them! Please deliver by Friday, Feb 22nd. All proceeds from gear sales will go to an incredible Missoula organization dedicated to training service dogs for veterans.